How much are you willing to pay to see the team of your love fight one of the best football clubs in the world? 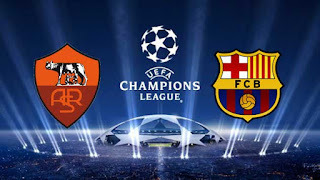 Well, in the case of Roma fans who intend to be witnesses of the clash between the Italian squad and Fútbol Club Barcelona, the amount goes to 89 euros. Too much, right? Fans of Roma who want to go to the Camp Nou on April 4 to follow the first leg of the Champions League quarterfinals live against Barcelona will have to pay 89 euros, an amount that has caused a stir in the Italian capital and has motivated that the newspaper 'Il Romanista' direct an open letter to the president of Barca asking to lower prices in response to solidarity with the fans. An official source of the club azulgrana made clear that the Catalan entity does not have foreseen to enter this subject, solving that it is an internal subject of which it does not have to be expressed publicly. The Italian newspaper, which proclaims itself to be "the most tifosi newspaper in the world," writes the letter in question, in Catalan, on the cover of this Tuesday's edition and asks Bartomeu to "prove that Barcelona is more than a club in this cause ", maintaining that those 89 euros for each ticket is a "prohibitive" price considering that this amount is added to the cost of the trip and stay in Barcelona. "Barcelona, has always been different from the rest of the clubs in the world and showed it in and out of the fields. Hence, that of 'Més que un club' is understood. As soon as the result of the draw was known, the prices skyrocketed. Do you imagine a Romanist father taking two children to the third amphitheater of the Camp Nou? You must pay 270 euros only for tickets", explains the Italian newspaper in his letter. "It's not about seeing Messi, Iniesta, Luis Suárez or other players: a football match cannot cost 90 euros, plus the price of the trip", summarizes the letter, reminding that in the field of Atlético de Madrid fans of Roma paid 60 euros and only paid 40 at Stamford Bridge against Chelsea. As if that were not enough, 'Il Romanista' refers to the second leg at the Olympic Stadium, where the price for Barça fans will be 60 euros. Still sounds like a lot money to me. It is known that the azulgrana stadium has gone from an average of just over 64 thousand fans in the first 17 games of the season to overcome 86 thousand in the last five ... And ahead are league visits of Valencia, Real Madrid or Villarreal and, so less, a Champions League match against Roma. The prospects cannot be better. However, the abusive price of the tickets may you think twice about the amount of money the club is getting.